The National Association of Clean Air (NACA) Conference is an annual event aimed at sharing the latest knowledge and information in the field of air quality. It brings a large group of people together from Government, Universities, Municipalities as well as various professionals. This type of conference is of very high value to the clay brick industry as it informs the parties about the latest developments in the sector and allows them to network with sector knowledgeable people. 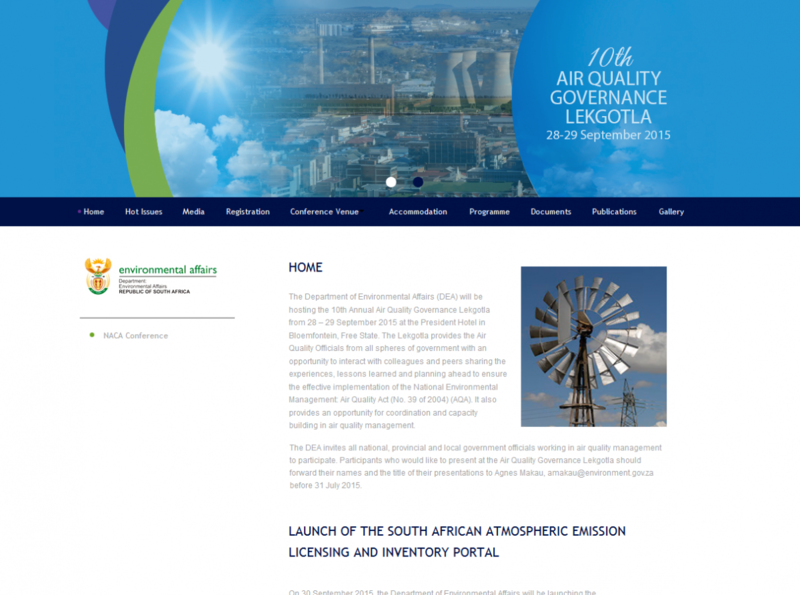 The National Association for Clean Air (NACA) is a non-profit organisation established in October 1998 to promote the cause of clean air in South Africa, and is today the prime technical and scientific non-governmental body in the area of air quality management in South Africa. NACA has been operational since 1968 and has been presented with more than 60 abstracts by students who are completing their Masters/Doctorate Degrees. Students with exceptional submissions are able to make use of the conference and present their findings. The conference was attended by more than 179 delegates out of which, a high percentage are actively involved in environmental science as well as conducting research in air pollution. The conference was part of a week-long convention focusing strongly on air quality. In the three days leading up to the conference, the Air Quality Division of the Department of Environmental Affairs (DEA) hosted their annual Lakotla which saw the coming together of the various national, provincial and municipal representatives for air quality in South Africa and on Wednesday the 30th of September the DEA launched the South African Atmospheric Emission Licensing and Inventory Portal (SAAELIP). SAAELIP is an online portal for the management of Atmospheric Emission Licences (AEL), as well as the estimation and reporting of atmospheric emission inventories in terms of the National Environmental Management: Air Quality Act, 2004 (Act No. 39 of 2004). SAAELIP provides a seamless integration between the management of Atmospheric Emission Licences and the reporting of atmospheric emissions into the National Atmospheric Emission Inventory System (NAEIS). A wealth of knowledge was shared at this year’s NACA conference and brick makers are encouraged to create an account on the SAAELIP portal and managing and reporting the emissions.